Black cats and dogs are often the last to get adopted out of a shelter. Informally, this is called the “Black Dog Syndrome”. This is a particular problem for the bigger breeds, and may be due to the public misconception that big, black dogs are dangerous. This misconception is often reinforced by the depiction of such dogs in the popular media. Even the language we use can be derogatory. For example, the “Black Dog” is often a term used to describe depression. For cats, the superstition around black cats still persists. To add to this, it can be hard for black dogs to photograph well. This means that the photographs that potential adopters see do not ‘sell’ the dog well. It also means that, for an ad campaign, a black dog is hardly ever used (think about it, you see plenty of golden retrievers in ads; when is the last time you saw a big, black dog?). Love for a breed can over-ride this bias. 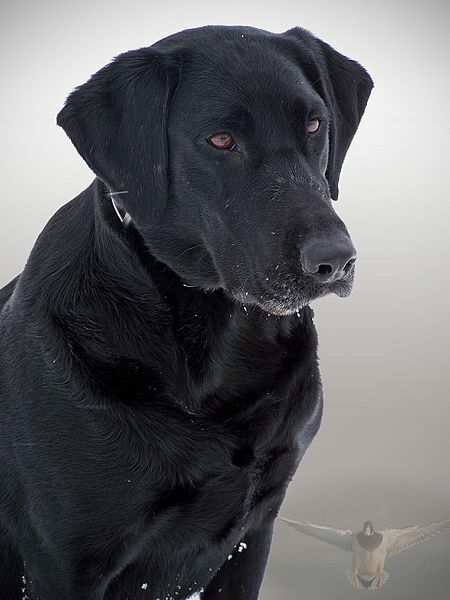 For instance, black labradors are very popular and it would be easier to place them in homes. But for the average black shelter dog, chances of being adopted can be slim. Personally, I think they are just beautiful. There can be a majestic beauty to black dogs. They can be as friendly (or unfriendly) as any other dog. For your next dog or cat, make yours a black. Do you have a beautiful black dog? I would love to feature some on the blog. What are your thoughts about the “Black Dog Syndrome”? Is it fact or fiction? Could Dogs Be A Solution For Bullying?